The good news is that the pull and slice are very closely linked and I am going to show you why here. Let’s presume you have taken a solid address position and are nicely aligned. 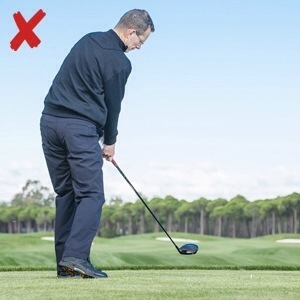 You reach the top of the swing and then your right shoulder initiates the downswing. This causes the club to work from outside to inside the ball-to-target line through impact. As the club cuts across the ball you’ll hit one of three shots. If the clubface is square to the swing path, you’ll hit a pull. 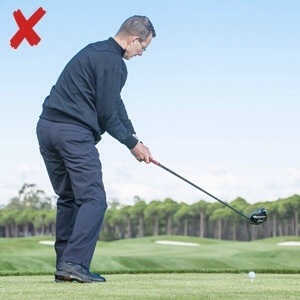 If the clubface is fractionally open to the swing path you’ll hit a fade. Finally, if the face is pointing at or close to the target, a big slice will drift further and further right. The reason that your irons will often go left and your driver slices out to the right is because the extra loft on the iron will deliver more backspin and less side spin. This entry was posted in sports and tagged golf, golf instruction, golf tips, PGA, slice, tips. Bookmark the permalink.